Brief description of the unit Students will be able to answer questions and provide evidence for their answers. Final QFocus What are the top 5 questions we have about flies? I wonder where the fly is? I wonder why the fly went away? I wonder if he can fly with other bees? I wonder how much legs he has? Why does he have big eyes? Why does he have red eyes? I wonder if flies have eyes? I wonder why flies have green bodies? I wonder what kind of bug that is? I wonder how many colors does he have? 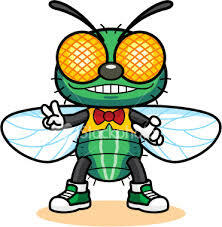 I wonder why the fly has legs? Why does flies have black legs? I wonder why it has hair on its back? I wonder how flies grow? I wonder if flies have antenna? I wonder why they have green on their back? I wonder why they have eyes? I wonder why they have white on their back? I wonder why they have wings? I wonder what it could do with its body? I wonder if it has a spinneret like a spider? I wonder why he has two colors? I wonder why their mouth is green? I wonder if flies can camouflage? I wonder if they fly has a tube like a butterfly? I wonder if it can stick to things? I wonder if they have predators? I wonder how many flies there are in the world? I wonder why it has shapes on its eyes? I wonder what is that? I wonder where flies live? I wonder what the fly is on? I wonder why the fly has wings? I wonder what does the fly eat? I wonder why the fly has a shiny back? I wonder if their eyes can see very well? I wonder if he has a nose? I wonder how it can touch? I wonder if a fly has jaws? I wonder if he has a tail? I wonder if the fly has a mouth? I wonder why they have hairs on their legs? The questions were used as an introduction into the science and reading unit of flies. Students were very excited to ask questions and were very excited about finding the answers. Students read non-fiction text and science books to locate the information. As we started the QFT more students wanted to ask questions. As questions were generated the questions just kept coming and they started to get better. The students wanted to more about the picture of the fly. The class we used this QFT had studied spiders the month before, so the students had a high curiosity about the fly. The students predicted that the fly would be their next topic of study in science. As we engaged students into the QFT of the fly. All students were engaged and listening to the questions being asked. Students were all attentive and the session lasted over 45 minutes.